Haidee Thanda is a passionate leader in the field of health promotion, innovation and educational technology, presently working at Shopify as a Learning Platform Architect. Her driving force connecting these interests is the pursuit of improving health outcomes. She knows how to connect with people and bring ideas to life. In 2017, she was recognized for her leadership as one of Canada's top 40 leading females in Tech worth following. Haidee also serves as the founder and lead of Hacking Health Ottawa a rapidly growing non‐profit that brings together technologists and medical professionals to create innovative healthcare solutions. When she isn’t hacking health you can find her dancing, teaching yoga or hanging out with her nephews and nieces. Marilyn’s engineering career began in mining and pulp & paper and moved into steelmaking operations working as a metallurgical engineer in both the US & Canada. She was bit by the “capital project bug” and moved into consulting as a process engineer. In succeeding roles, as an Engineering Manager, she leads multi-discipline teams to deliver large capital, complex minerals projects globally. Her goal is to share “lessons learned” with project stakeholders, so projects can be better delivered. As a Professional Engineer, Spink is Vice President of Professional Engineers Ontario and a member of the Ontario Society of Professional Engineers. Dani Gagnon is a Professor in Digital Marketing at Seneca College and teaches Social Media at Camp Tech, as well as beginner and advanced social media workshops. A millennial in a primarily boomer saturated business world, Dani is chock full of insights on internet-based algorithms and she helps organizations drive business through their online presence and digital marketing. Dani is a SHAD alumnus and an ‘under-30 influencer’ CEO in Toronto with The GNF Group, who started her business 8 years ago, and has been making a serious impression in the social media world working with brands like CBC, Under Armour, the NDP and MasterCard. Her digital marketing firm has worked with over 700 companies on their social strategies in the last 5 years. Elaine Wong directs regional and national newscasts for Canada’s public broadcaster and has spent most of her career in a variety of editorial and technical roles in the newsroom. Outside of the newsroom, she is a co-organizer of PyLadies Toronto, a mentorship group focusing on helping more women become active participants and leaders in the Python open-source community. She teaches journalists and librarians how to code through PyCar and Library Carpentry and helps organize conferences such as PyCon Canada and csv,conf, an international conference for data makers. She is also a SHAD alumnus. Eva is Co-Founder and Chief Operating Officer at Borrowell, a financial technology company that helps Canadians make great decisions about credit. Borrowell was recently named to the Fintech 100, a list of the top 100 fintech companies globally compiled by KPMG. Eva has worked in both the private and not-for-profit sectors in Canada and abroad, including roles at Maple Leaf Foods and Oliver Wyman. Eva was named one of 20 tech start-up founders to follow by Twitter Canada and is on the 2017 Women in FinTech Powerlist. Eva holds degrees from Harvard University and Queen’s School of Business. Takara Small is the executive director and founder of Venture Kids – a not-for- profit that teaches youth from Toronto's underserved communities how to code and launch their own successful tech startup. By day, she works at the DMZ – the number one university-based incubator in the world – as a content creator. Outside of the DMZ, she works as a freelance web developer and tech journalist with bylines in well-known publications like Forbes magazine, the Toronto Star, Metro News Canada and Toronto Life magazine. Karen is a Professional Engineer who began her career as a Sales and Applications Engineer, then was an automotive engineer with assignments spanning quality engineering, manufacturing, product design, new product launch and government relations. Karen's career also includes managing digital ad systems, technology consulting, and is currently a Managing Agile Coach at TD. 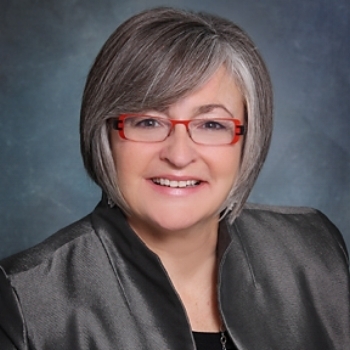 As a volunteer, Karen is the Past-President and Chair of OSPE, Past-Chair for the PEO Lake Ontario Chapter, and International Ambassador for the Society of Women Engineers. Karen was recognized by the Ontario Women’s Directorate with a Leading Women, Leading Girls award in 2016. Her research focuses on understanding how humans can augment and interact with intelligent systems. Previously, she was a postdoctoral fellow at Harvard University. 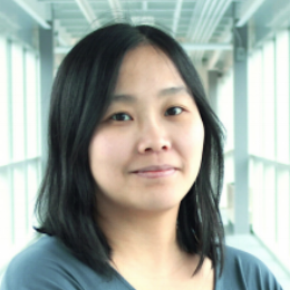 She graduated from Carnegie Mellon University in 2012 with Ph.D. in Machine Learning, M.Sc. in Computer Science at McGill University, and B.Sc. in Computer Science at University of British Columbia. Her work on games with a purpose, large-scale collaborative planning and curiosity as an incentive mechanism have won best paper honourable mentions at the ACM SIGCHI conference. 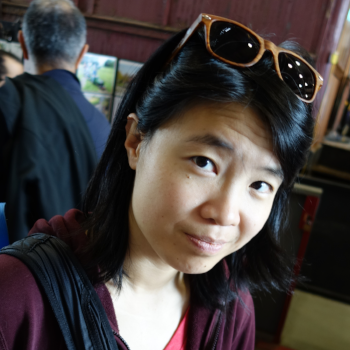 Her current projects include CrowdCurio, a research infrastructure for studying technology-mediated crowdsourcing for citizen science, digital humanities and medical data processing, and teachable robots for K-12 education. Jeanette leads the all-volunteer team behind Venture Out, which connects LGBTQA+ professionals in tech to career opportunities, role models, and each other. By day, Jeanette is a New Venture Associate at Highline BETA, which combines the experience of leading enterprises with the agility of startup founders to co-create, launch, and fund new ventures. She is also currently supporting the re-launch of Female Funders, which Highline BETA acquired in 2017 with the goal of educating and empowering 1000+ new women angel investors by 2020. Marie is on the Data Science team at SAS. This team works to inspire and prove out the value of using data to drive decision making with analytic software tools. They are a collaborative group with diverse education backgrounds– ranging from a Ph.D. in Zoology to Marie’s degree in Electrical Engineering. Their solutions help Team Canada know what actions to take to improve the odds of achieving Olympic Gold, predict which areas in Toronto have the highest risk of fire, and capture the mental health status of Canadian youth from social media. Ria Lupton is the Community and Marketing Manager at RIGHTSLEEVE and the Founder of Canadian Community Builders. Prior to this she has helped build several communities - Vinetta Project, Women Who Code Toronto and Girls in Tech Toronto to name a few. Ria is an Information Sciences graduate and an alumna of London School of Economics and University of Toronto. She found her love for community when she first volunteered for an island wide community service project in Singapore. Her work is focused on creating inclusive communities while also helping businesses build authentic communities. Clare Lyle is a fourth-year math and computer science student at McGill University. A research assistant at McGill’s Reasoning and Learning Lab, she’s passionate about both advancing the field of AI and ensuring that it has positive societal impacts. In previous summers she engaged in AI policy research at the Future of Humanity Institute, and interned at Microsoft. This summer she will be doing research at Google Brain. In her spare time, she’s VP Academic for the Computer Science Undergraduate Society and organizes McGill’s largest hackathon. She is a 2014 Loran Scholar and a 2018 Rhodes Scholar. Victoria is a third year Engineering Science student at the University of Toronto, where she specializes in Robotics Engineering. 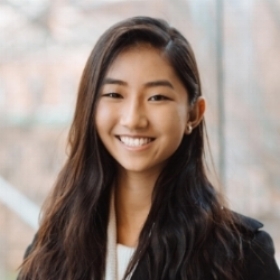 She is currently the VP Marketing for the WISE U of T Chapter, and was previously involved in student politics, the solar car club, and the school spirit committee at the university. Victoria is passionate about accessibility in technology, as well as art and design. After first year, she worked at a prosthesis lab at the Bloorview Research Institute. This past summer, she worked at Microsoft on their Cloud & Enterprises team. Outside of school and work, she really loves food, art, and aviation. Alison Gibbins is the Global Lead of Royal Bank of Canada’s Technology Community Engagement group. She manages RBC’s support of technology groups and sharing of RBC’s expertise with the broader tech community. Through FutureMakers Talks and the FutureMakers website, she enables peer-to- peer knowledge sharing by RBC’s technology and operations employees. 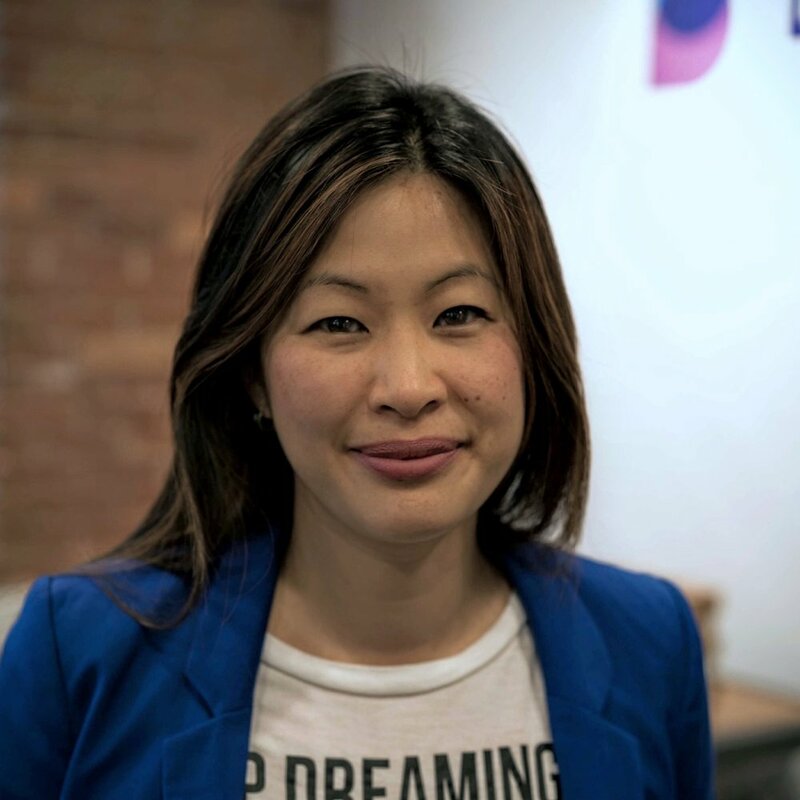 With a background in marketing, business strategy, and data insights, she also advises Canadian startups through programs such as Techstars, Startup Weekend, and MaRS. Alison has worked across a variety of sectors including telecom, B2B services, healthcare, education, and entertainment/gaming. Aisha thrives on working to make the world a better place for women. Aisha founded the Power To Girls Foundation, a non-profit organization, to provide young girls with mentors and role models. As a facilitator and director of Power To Girls, she uses her personal experiences and knowledge to create safe and engaging spaces for the girls she works with. She is the recipient of the Young Black and Gifted Award for Community Service and was named a Black Diversity Group Role Model, One of 100 Black Women to Watch in Canada, and one of 150 Black Women making history in Toronto. DriveHER, the ride-sharing service for women by women, is her latest initiative and the next step in her journey to continue to empower and protect women. 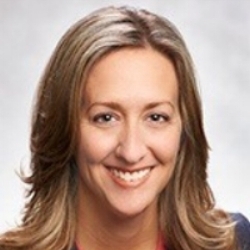 Jennifer Gibbs is the Vice President, Enterprise Data Management, TD Bank Group. 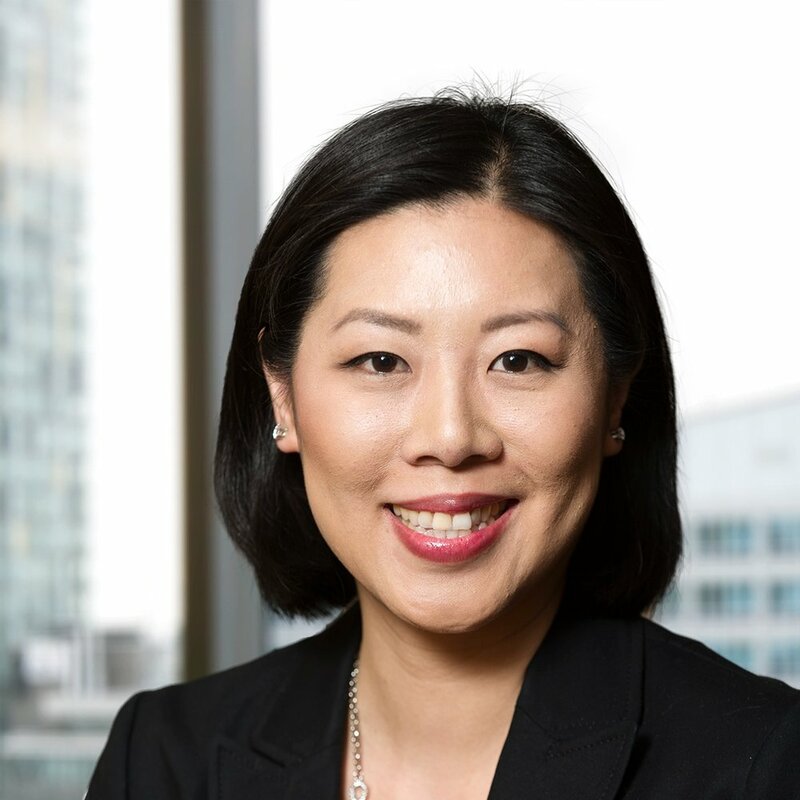 Her mandate includes leadership of the Enterprise Data Management Group within TD's Office of the Chief Data Officer and oversight of strategic data initiatives to achieve mission-critical advances in data management across all of TD's Lines of Business. These initiatives include defining, developing and delivering processes, standards and technology solutions that support data management capabilities including Data Quality, Metadata and Master Data Management. Madeleine Rothberg researches and implements accessible technology for people with disabilities. She is a Senior Subject Matter Expert at the National Center for Accessible Media at WGBH, the public television station in Boston. She has a B.A. in Biology and a Masters in Technology in Education. Madeleine’s work focuses on providing access to multimedia and information technology both through directly accessible solutions such as captions, talking software, and audio description, and through improvements to infrastructure such as interoperability standards. Her work encompasses general Web site accessibility, as well as projects on personal health records, digital libraries, assessment questions, and digital interactive textbooks. Céline is a third-year software engineering student at the University of Waterloo. She has completed three internships so far in her degree, including two in San Francisco, working on infrastructure at Wish and machine learning at Stripe. This summer, she will intern at machine learning startup lang.ai in Madrid, Spain. Céline values participating in the engineering student community, and is completing her term as VP Communications of Waterloo’s Engineering Society. This year, she will be the administrative commissioner for the Canadian Federation of Engineering Students.